THE NEED FOR JUSTICE IN THE CHANGING CITY. After forty years of “resistable rise” of neo-liberalism, both in terms of economic doctrine and public policies, the increase in inequality and social polarization seems to have become an ineliminable trait of contemporary life. Originally serving the purpose of supporting the growth of the productive system, and subsequently at the aim of counteracting the market crisis, deregulation and the State’s withdrawal from many areas of social intervention have grown to the point that they are being passively accepted, with the consequence that a widespread and pressing demand for redistributive equity risks remaining unanswered. As extensively evidenced by independent scientific debate, the change occurred in the governance of economy has caused the widening of the gap that divides the area of hardship and social exclusion from a small segment of the population which holds a very large part of the national wealth. This growing asymmetry has determined a very marked territorial dualism that the city faithfully reflects, causing an increasingly unbalanced social structure which results in an urban arrangement which places, side by side, the exclusive enclaves of privileged people and the slums of those who are marginalized. Paradoxically, the city is on the one hand the place where the demand for greater social equity proves to be pressing and almost always unheard, but on the other hand it constitutes the potential scope for a possible change of perspective, which could prove that it is in the urban context that the goals of a less abstract and unrealistic justice can be concretely approached. For urban studies, the concept of a just city can become a paradigm of fundamental importance in view of a reconfiguration of the principles, targets and planning instruments, with applications ranging from the access to the common assets to the design of public spaces, and from the right to mobility and social housing - these latter usually dealt with by local governments - to the less tackled issues of security, accessibility for all, the right to health and aspiration to beauty. It can be proved that conceptualizations and experiments conducted on the urban scale can bear an obvious symbolic value, useful for the same national policies, which seem paralyzed by the great number of families without an income and living in relative or absolute poverty, by the increase of the elderly population and of those who living in hardship due to physical, sensory, perceptual and cognitive disabilities, estimated between 15% and 20% of the population, who can however draw inspiration and encouragement from the results, certainly partial but significant, achieved by a growing number of local administrations. Facing with the difficulty of interaction between different levels of decision-making and intervention, scholars of territorial and socio-economics disciplines may offer a fundamental contribution to the elaboration of an original and integrated point of view on the project of a just city, which is able to constitute a reference and a model of a more equitable, accessible and convivial society. In reproposing the formula successfully adopted in the previous editions of Urbanpromo (2016 and 2017), INU and URBIT aims at providing insights and contributions at next Congress of the Istituto Nazionale di Urbanistica (National Institute of Urban Planning), which will take place in Riva del Garda, trhough the organization of an international scientific conference thath will be held at the Triennale di Milano during the 15th Edition of Urbanpromo (20-23 November, 2018). The main target groups of the conference are researchers, scholars and professionals working in universities, companies and public administration. The event is organized in collaboration with two important scientific journals: Urbanistica and Planum. The Journal of Urbanism. While Planum journal will ensure the full and timely publication of the submitted papers, which will therefore be disseminated and submitted to the discussion already during the Conference, Urbanistica will publish in a special issue a wide selection of papers considered of greatest interest. 11. Involvement of citizens in decision-making processes and urban management, in order to ensure a better access to knowledge and recognition of the of social justice goals (open data, public wi-fi in the city, thematic forums, urban centers, co- housing, co-working, etc.). Participation in the conference is open to all. Anyone intending to submit a written contribution is invited to send an abstract in Italian or in English (min. 300 - max 400 words) to the following email address: bisognodigiustizia@urbit.it. In addition to indicating the name of the author or authors, the institution to which they belong and the reference to one or more topics proposed in the Call to be developed, the text must clearly propose the thesis supported and a concise overview of the arguments and supporting data. In addition to indicating the name of the author or authors, the institution to which they belong and the reference to one or more topics proposed in the Call to be developed, the text must clearly propose the thesis supported and a concise overview of the arguments and supporting data. Following the favorable opinion of the reference committee, authors will be informed of the acceptance of the proposal and will be invited to send in Italian or English the final text of the contribution (the maximum text length is 20,000 characters) in Italian or in English, as well as any figures and tables, to the mentioned email address. The layouts for the preparation of Abstract and Paper will be available on the Urbanpromo, INU and Planum websites and it is strictly necessary to follow these rules for the acceptance of the contribution to the Conference. The papers accepted will be published on Planum Publisher (www.planum.net) before the beginning of the conference. An Evaluation Committee, composed of both the members of the Scientific committees of the Conference and the ones of the two Journals, will be established to promote a wide and qualified selection of the most significant works sent to the organizers of the Conference. Said committee will select at least 10 papers, which will be presented by the authors during the International Conference. Through the same anonymous evaluation, a wider range of contributions will be selected for the publication in a special issue of the journal Urbanistica. The authors must draw up the final version of their papers, consistent with the indications of the Evaluation Committee, the layout guidelines and the deadlines indicated by Urbanistica. The payment of an application fee of 300 euros (250 euros for the INU members) is required for the presentation of a paper at the Conference and its publication. 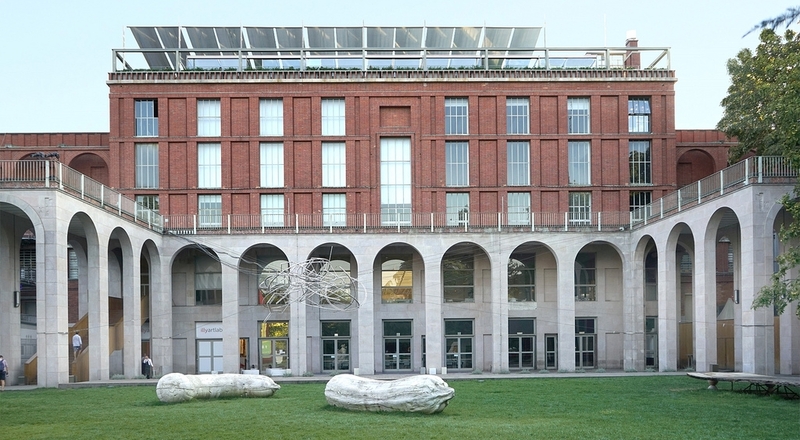 In addition to the Conference, the registration includes the entrance to all the sessions of the XV edition of Urbanpromo, which will be held in Milan at the Triennale from 20 to 23 November 2018. For payments made before September 15th 2018, the registration fee is reduced to 250 euros (200 euros for the INU members). It is necessary to send the receipt (CRO) of the payment by October 31, 2018. Failure to comply will result in exclusion from the Proceedings of the Conference. For billing information and PA payments please send an email to: bisognodigiustizia@urbit.it. Michele Talia (Chair), Angela Barbanente, Carlo Alberto Barbieri, Giuseppe De Luca, Patrizia Gabellini, Carlo Gasparrini, Paolo La Greca, Roberto Mascarucci, Francesco Domenico Moccia, Federico Oliva, Pierluigi Properzi, Francesco Rossi, Iginio Rossi, Stefano Stanghellini, Silvia Viviani. • Carolina Giaimo, Rosalba D'Onofrio, Giulia Fini, Laura Pogliani, Marichela Sepe.